Omega Masonry is one of the top masonry companies in the area serving Collin County, Dallas County, Denton County and Rockwall County. From brick repair to retaining wall repair and installation, our expert masonry contractors specialize in masonry work like brick mail box repair and chimney repair. Finding a masonry contractor that is skilled in brick repair and restoration can be difficult. We have helped hundreds of Texas clients with first-rate brick repairs and mortar problems. Check out our gallery for some of our expert brick and masonry repair jobs throughout Collin, Denton and Dallas County. Need expert stone or brick mailbox repair services? Omega Masonry has created and repaired some of the best looking mailboxes in the area. Whether you’re looking for column mailbox designs or brick and stone repair related services, our masonry artisans can make your mailbox stand out from the rest. Is your brick or stone chimney in need of repair? Omega Masonry has been restoring deteriorated chimneys for over a decade. Our experienced and professional chimney repair contractors can bring your masonry chimney back to life again. Contact us today for a competitive repair quote. Need help with retaining wall repair or retaining wall construction? The retaining wall contractors at Omega Masonry have seen and done it all. Most retaining wall issues are due to improper construction or ongoing strain from internal forces; we are experts at retaining wall repair and installation. Looking for a masonry expert in the Dallas area? At Omega Masonry we provide expert Brick & Stone Wall Repair, Brick Mailbox Repair & Replacement, Chimney Masonry Repair, Retaining Wall Repair & Replacement, and more. From custom builds to repairs, we do it right. Call (214) 473-5858 or click for a no obligation estimate. Omega’s pre-screened and unscreened brick and stone masonry contractors have been perfecting their craft for over a decade. From brick repairs on your brick house to mortar replacement on your stone walls we go out of our way to give you the best stone and brick repair, and replacement money can buy. We know brick mailbox repair and installation! 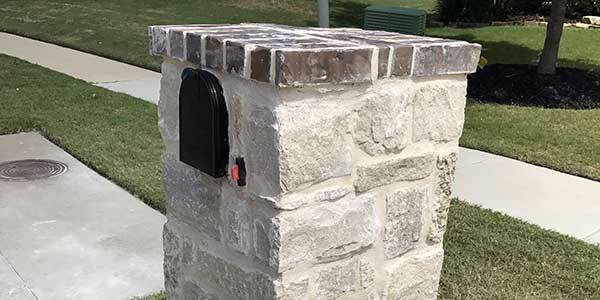 Our experienced masonry contractors have repaired and built some of the most beautiful stone and brick mailboxes in the area. From the installation of column mailboxes to repairing damaged or deteriorated brick mail box; we have you covered. 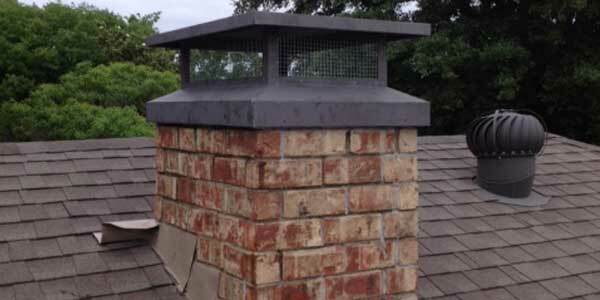 For top-rated chimney repair services in Texas, Omega Masonry has your back. Whether you need brick chimney repair or fireplace repair, our masonry contractors are some of the most experienced in the area. We’ve been doing chimney repairs for over a decade and we’re dedicated to your complete satisfaction. Offering the best retaining wall repair and installation in the area! Whether you have a brick, stone, stucco veneer or a concrete block retaining wall, our retaining wall contractors can repair, construct or install your landscape retaining wall using the latest techniques providing long lasting aesthetics. 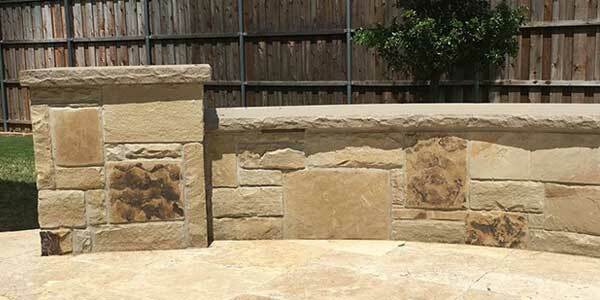 Omega Masonry is the leading Brick & Stone Masonry Contractor serving the Dallas and DFW area. We handle both commercial and residential masonry repair and installation with a commitment to excellence in workmanship while striving for complete customer satisfaction. For over a decade, we have been providing the Dallas and Dallas Fort Worth area in all types of masonry services. This includes brick repair, brick and stucco mailboxes repair, chimney repair, retaining wall repair, concrete repairs, fireplace repairs, cast stone repairs and stucco repairs. Our services also extend to building and engineered walls, CMU walls, brick walls, stone borders, outdoor fireplaces, outdoor kitchens, stone patios and outdoor grills, to name a few. 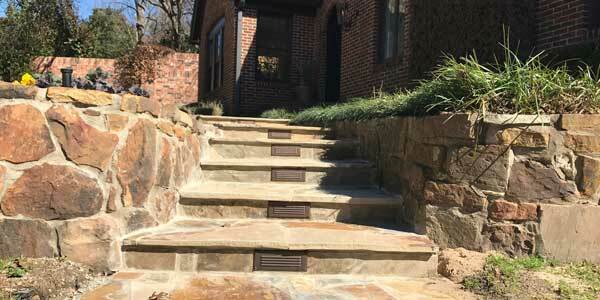 Related Projects for Brick & Stone in Dallas, TX. We recently completed over 700 linear feet of retaining walls for The City of Dallas. When you utilize the services of Omega Masonry, you can rest assured that your retaining wall will stay put. We offer a One-Year warranty on all major masonry construction projects.  Omega Masonry is licensed and insured and capable of providing services outside state boundaries. Here at Omega, we are committed to quality control and request that you ask as many questions as you need. We are here to serve your needs. No request is too great or too small, whether an outdoor fireplace or a full-scale masonry construction project. We carefully follow protocol on every project we undertake. We familiarize ourselves with city codes, engineering specifications and call the appropriate parties prior to digging. Since our offices are in Plano, TX, we are centrally located to provide services to a wide area including Collin County cities such as Plano, McKinney, Frisco, Prosper, Murphy, Lucas, Parker, Wylie, Fairview, Anna, Celina Little Elm, Allen, Princeton, and Melissa. We serve Denton County cities such as Carrolton, The Colony, Little Elm, Lewisville, Flower Mound and Highland Village. Dallas County Cities including North Dallas, South Dallas, Addison, Highland Park, Richardson, Las Colinas, Coppell, Irving, Mesquite, Preston Hollow and Balch Springs. And service Rockwell County cities from Rowlett to Rockwell and Tarrant County Cities including Arlington. We know and understand the DFW area and fully service Dallas and DFW area.